The Kaizer 1000 Series violin is built to be, reliable and practical. Intended specifically for beginners, it will meet all of a student musician. Whether you're in school orchestra, or with a private instructor, the 1000 Series is highly capable and versatile. It is as elegant as it is practical. 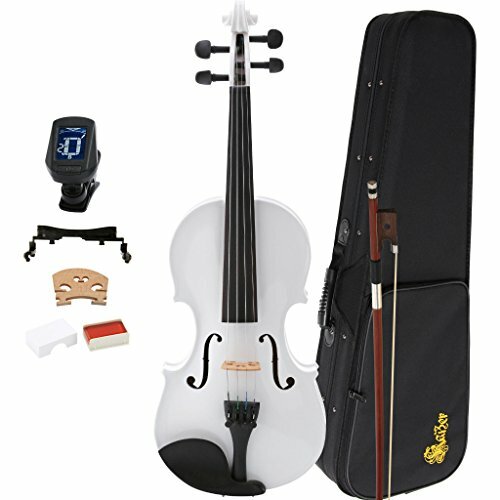 This violin package includes all essential accessories and can be set up and played within minutes. The 1000 Series Student Instruments introduces high functionality, excellent playability, and reliability to students/beginners at a practical price point. Available in multiple options of colors and finishes to meet the unique and various need of the players. Kaizer offers you the most reliable product and service your money can buy. Kaizer products comes from factories that produces reliable products for many other leading brands. We seek out original manufactures that produces quality instruments for popular brands, we put our private label on those same instruments, stripping away distributors, middle-men, dealers, sales people, gimmick and non-sense, leaving you with top quality and incredible value. Then we top it off with a unbeatable warranty offering you a peace of mind that is unparalleled. America's #1 violin setup: 4/4 size, solid tone-wood grade spruce top, (not laminated plywood), hand carved maple back, fingerboard, inlaid purling by hand, pegs, chin-rest with a lightweight alloy tailpiece. 45-day free trial: play it, test it for 45 days. If you don't like it, send it back and receive a full refund. Lifetime no-hassle warranty. If the instrument ever fails due to manufacturing defects, for as long as you own the instrument and have proof of purchase, we'll provide you with parts for free. If you have any questions about this product by Kaizer, contact us by completing and submitting the form below. If you are looking for a specif part number, please include it with your message.